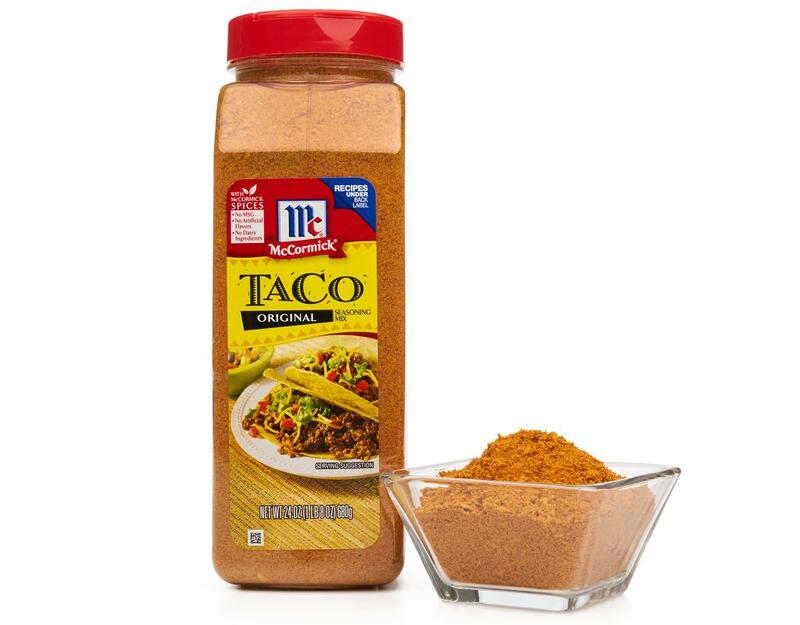 McCormick Taco Seasoning Mix is a zesty blend of authentic Mexican seasonings, including onions & peppers, that's certain to turn ordinary food into a fiesta of flavor. 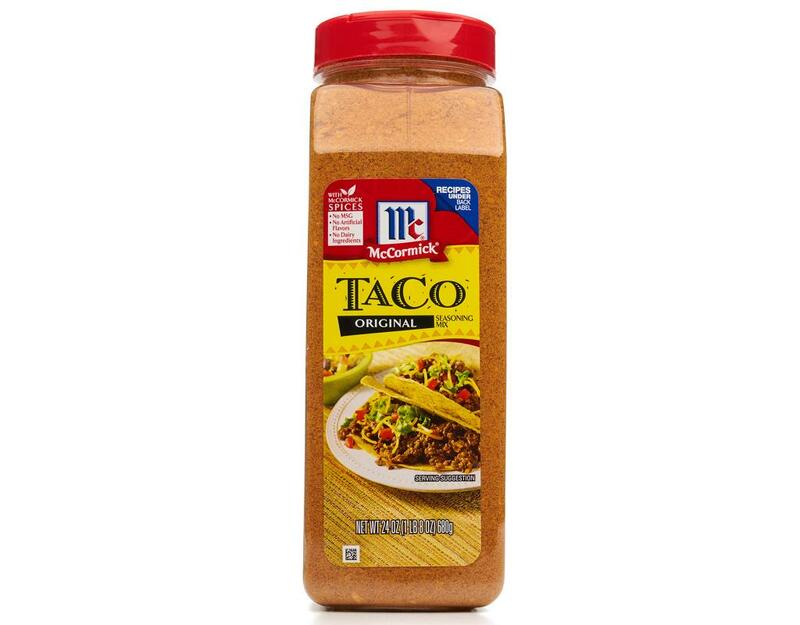 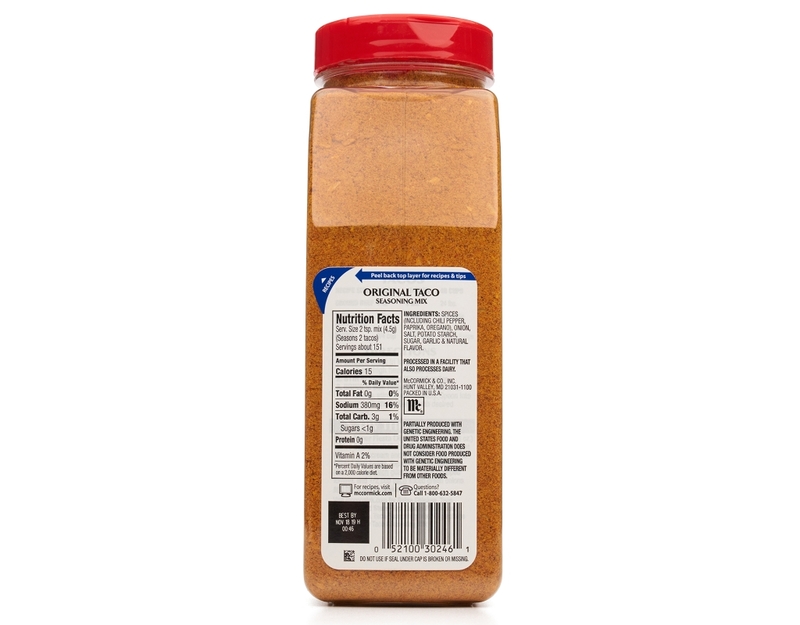 Taco Seasoning has a hearty flavor that's not too spicy but warm enough to complement a variety of meats. 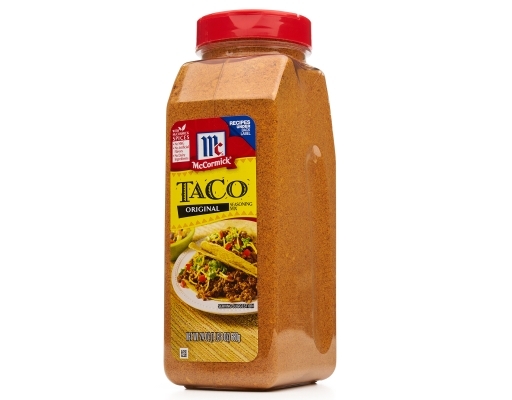 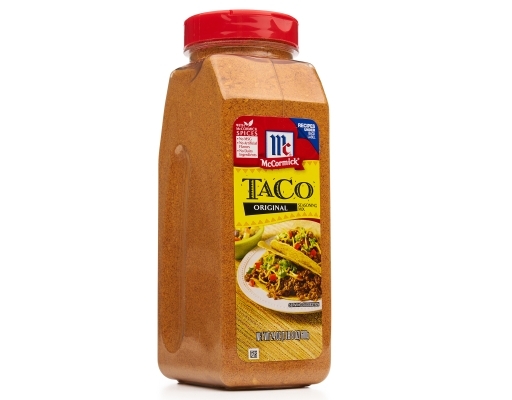 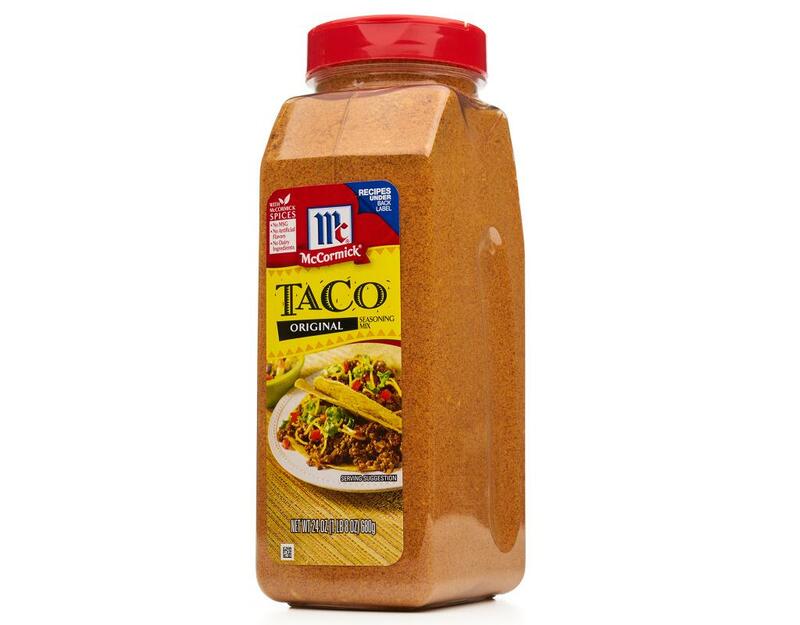 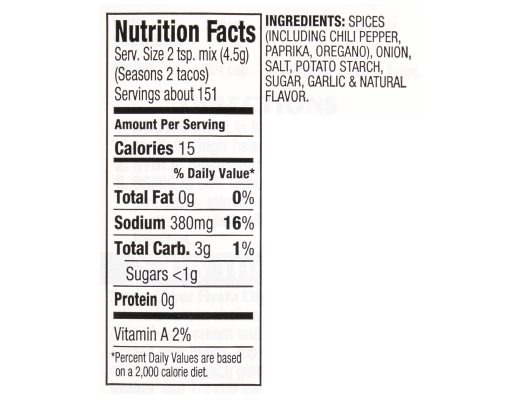 For South-of-the-Border flavor appeal, McCormick Taco Seasoning Mix is the seasoning of choice. 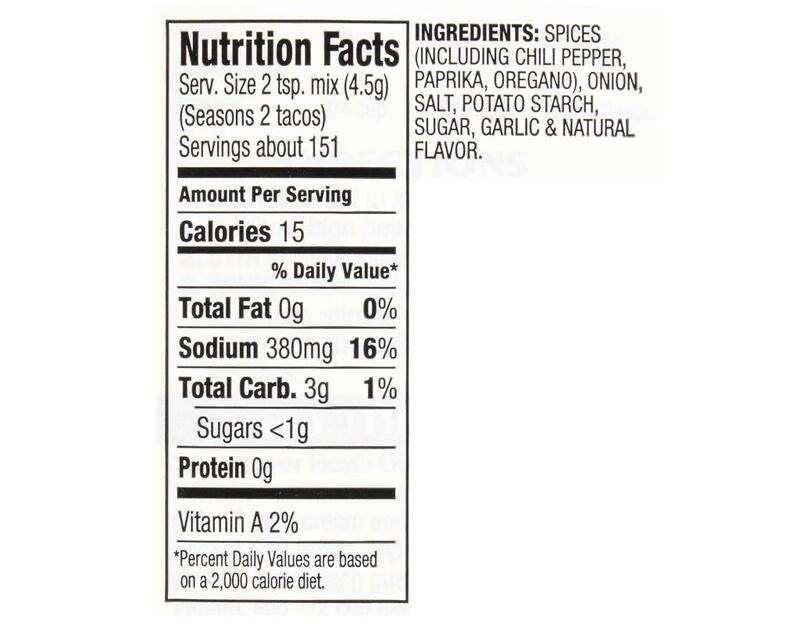 Contains no added MSG!